Christmas is the most magical time of the year, isn’t it? We had our Christmas tree up way back when November had just began. Crazy? Maybe but the magical feeling that the Christmas lights bring to our home is worth it! I love sharing this time of year with my daughter and experiencing all of the excitement through her eyes. It is my absolute favorite. 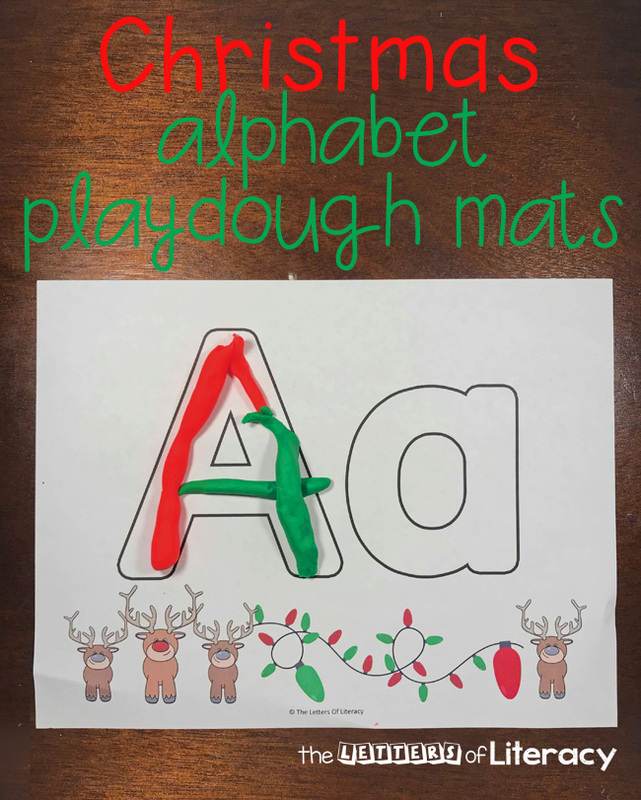 So of course, we had to make a Christmas themed alphabet play dough mats to add to our collection. 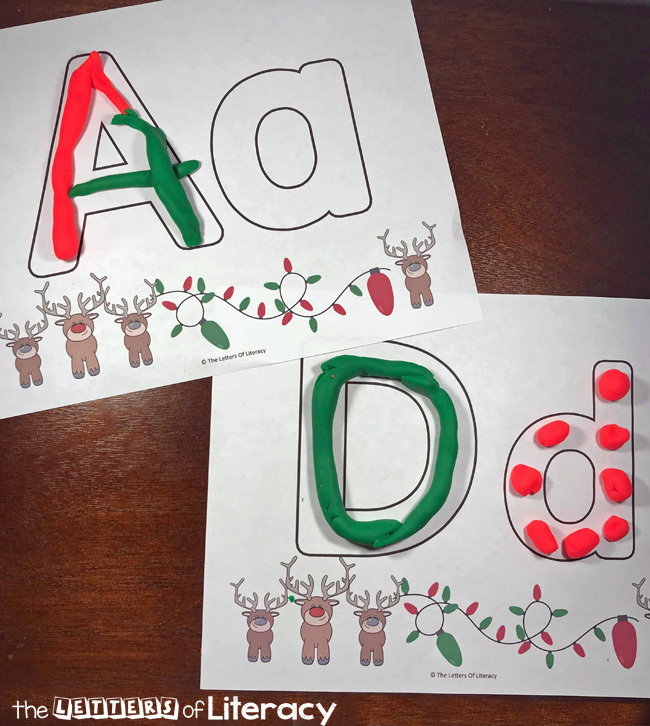 *Pair this with our Christmas Centers and Activities! This Christmas play dough mat set is so fun! 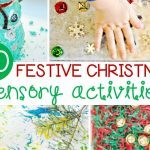 Not only are play dough mats engaging and educational, but the reindeer and Christmas lights make this set especially festive and motivating! 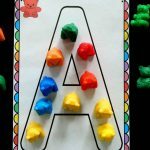 Each page of this alphabet play dough mat set has a different letter and contains both upper and lowercase letters. The colors are bright and bold, which matches perfectly with any color of play dough! If you haven’t used printable play dough mats before, you and your kids are in for a treat. Kids will enjoy using them and you will be ecstatic over the fact that once they are created, there is literally no prep. What I like to do is print out each page and then laminate them. I have laminated them each single paged, but I have also laminated two pages, back to back. This is totally up to you. Which way you choose depends on how many kids will be using them and how often each letter will get used at one time. I like to laminate them because it makes it easy to wipe off any excess play dough without ruining the pages. Once they are laminated they will last you forever! Creating balls of play dough to make a dotted line inside the bubble letter. Create snakes with the play dough to ‘write’ the letter. 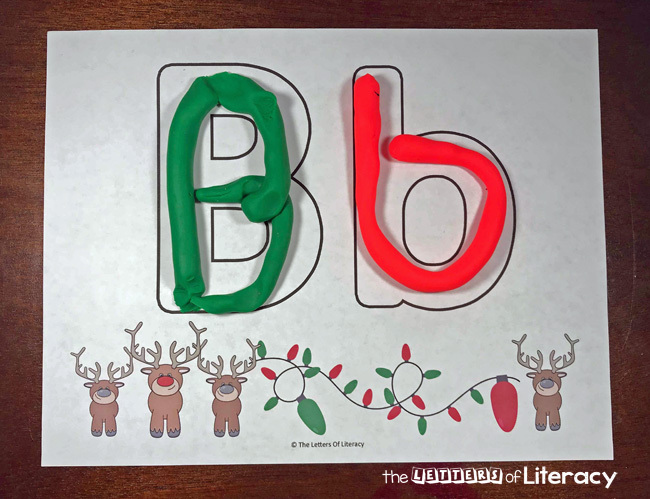 Fill the letter in completely using play dough and play dough tools. Play dough tools can be used to ‘smash’ the play dough into the bubble letters, creating various textures on the letters. 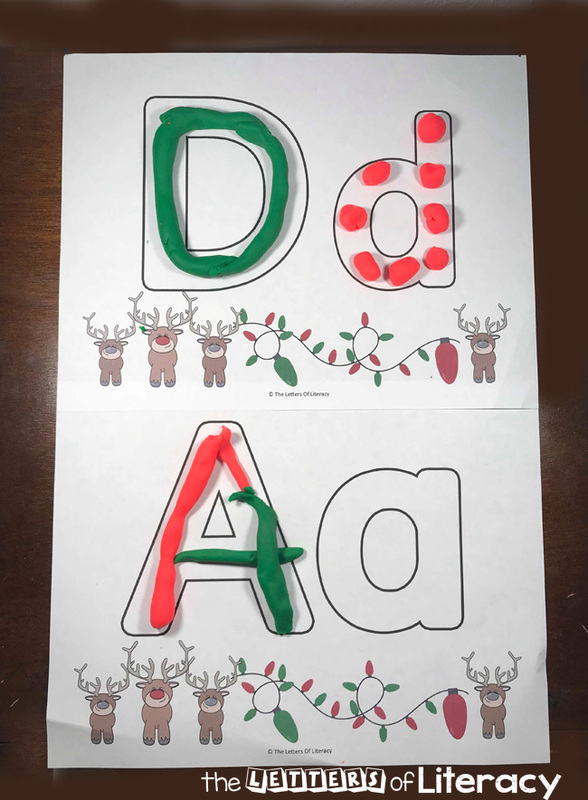 These play dough mats can also be used with dry erase markers to write the letter inside the bubble letter, if they are laminated. If you choose not to laminate them, these can be used as color pages. 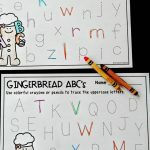 Kids can color each letter or fill them in by drawing patterns. 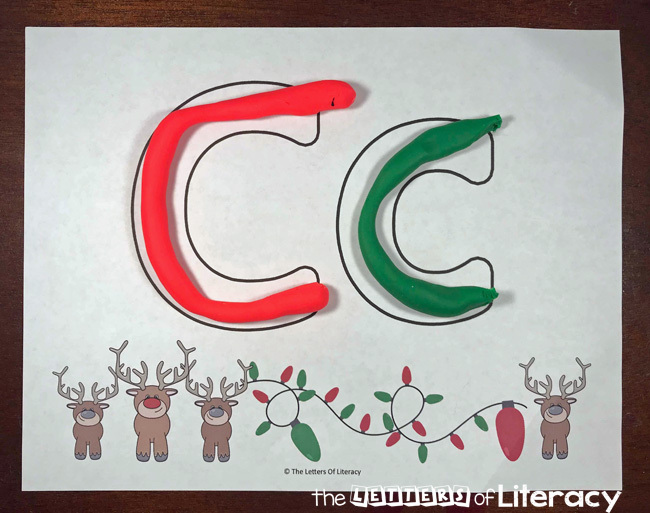 Other manipulatives can be used to fill in the bubble letters including mini eraser, pom poms, pipe cleaner, etc. 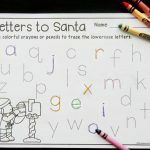 Children can also trace the letters with their fingers. 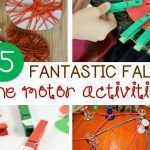 Some kids need a fun factor to really be encouraged to do a learning activity. There is no shame in that, it is very common. 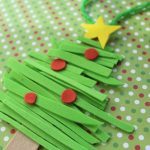 Play dough alone is a super fun activity that most kids enjoy – even more so with this fun Christmas theme! 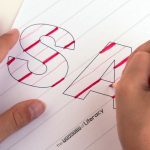 This set is a perfect activity for a simple literacy center in any classroom. These play dough mats are a fantastic way to help encourage children to learn and practice the ABC’s in an exciting, hands-on way. 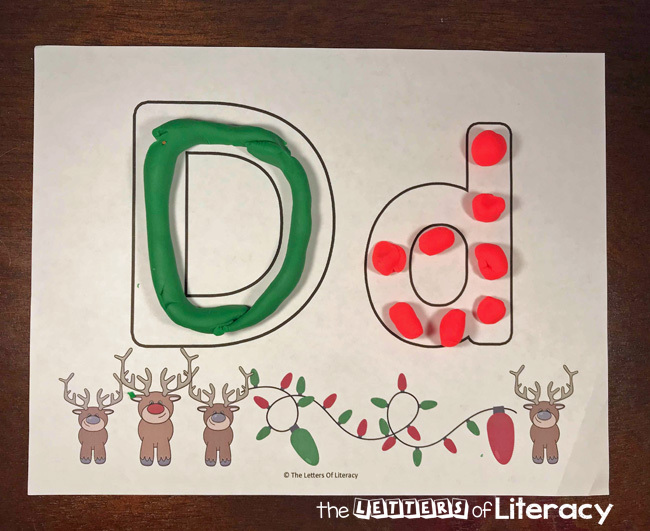 Are you ready to grab these Christmas Alphabet Play Dough Mats? Then simply click on the large, blue button below! 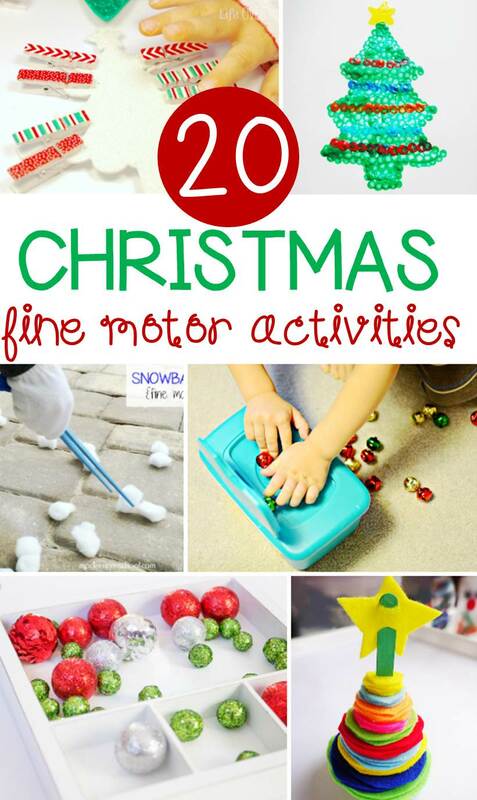 Then, hop on over to see these 20 Fun Fine Motor Christmas Activities!